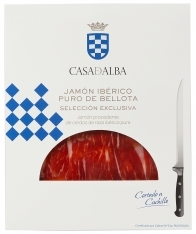 The shoulder ham by Casa de Alba is a completely natural product, 100% acorn-fed Ibérico ham, with unique organoleptic properties. 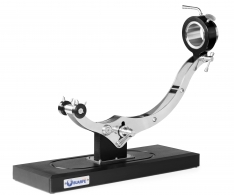 It is characterised by its elongated silhouette with a thin shaft, a black hoof, the “V”-shaped cut and the fluidity of its fat that melts between the fingers. 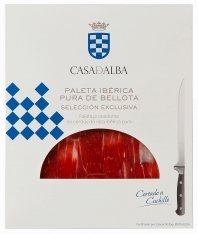 The fat of the Casa de Alba ham has a pleasant texture, composed of high quality proteins and minerals, as well as fat-soluble vitamins and a large amount of monounsaturated fatty acids (oleic acid and polyphenols – a powerful antioxidant). These fats in the ham are similar to those found in extra virgin olive oil that we obtain on family farms. Both are very beneficial for our body as they are responsible for the increase in HDL (good cholesterol) and the decrease in LDL (bad cholesterol). 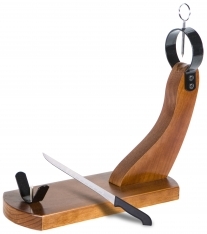 Includes a ham stand and knife. Format : The 100% Ibérico shoulder ham comes wrapped and in a box. Storage : The 100% acorn-fed Ibérico shoulder ham must be kept in a cool, dry place, away from sunlight. Consumption : Best consumed within 1 year of purchase. Once open, the 100% acorn-fed Ibérico shoulder ham should be consumed within one month in order to fully enjoy all of its exquisite qualities. It is also essential to prevent the slices of ham from any prolonged exposure to the air. 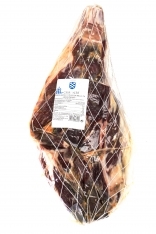 The shoulder ham should be sliced just before it is consumed and only cut the quantity you expect to eat.